In the film categories, most of the usual suspects this awards season were shortlisted. Examples range from Cate Blanchett and Rooney Mara for Todd Haynes' Carol (the latter absurdly nominated in the Best Supporting Actress category) to Brie Larson and Jacob Tremblay for Lenny Abrahamson's Room. But how many were expecting Helen Mirren to receive two SAG Award nominations in the Motion Picture categories: Best Actress for Simon Curtis' Woman in Gold and Best Supporting Actress for playing gossip columnist and rabid right-winger Hedda Hopper in Jay Roach's Trumbo? Or Idris Elba to land a Best Supporting Actor nomination for Cary Joji Fukunaga's Netflix-distributed Beasts of No Nation? Or to find Sarah Silverman listed among the Best Actress nominees for I Smile Back? Someone has done a pretty good job of getting the word out there to the SAG Awards' nominations board. Helen Mirren's Woman in Gold, for one, was distributed in the U.S. by the awards season pros at The Weinstein Company. Some of the other inclusions were a bit more difficult to fathom. Major SAG Awards 2016 “snubs” included Matt Damon, who was left stranded for his generally well-received performance in Ridley Scott's The Martian, which, in fact, was totally shut out. Same thing happened to Ryan Coogler's Creed, which stars veteran Sylvester Stallone – touted as the Best Supporting Actor to beat at the Academy Awards – and Michael B. Jordan (Fruitvale Station, the box office bomb Fantastic Four). U.S. critics' favorite Kristen Stewart was also left out of the Best Supporting Actress category – too many lead actresses (Rooney Mara, Alicia Vikander for The Danish Girl) taking up space. Stewart was the New York Film Critics Circle and the Boston Society of Film Critics pick for her work in Olivier Assayas' French-made Clouds of Sils Maria. Another Boston critics' favorite and Los Angeles Film Critics Association winner, Charlotte Rampling for Andrew Haigh's 45 Years, was also bypassed for the SAG Awards. That's no major surprise, though, as the Screen Actors Guild is notoriously populist when it comes to its nominations; relatively speaking, there have been precious few performers shortlisted for their work in small, non-American films. Both Clouds of Sils Maria and 45 Years were distributed by IFC Films in the U.S.
See below the 2016 SAG Awards' full list of motion picture and television nominees. Helen Mirren in 'Woman in Gold': One of the SAG Awards' many surprises. BRYAN CRANSTON as Dalton Trumbo – TRUMBO (Bleecker Street). JOHNNY DEPP as James “Whitey” Bulger – BLACK MASS (Warner Bros. Pictures). * LEONARDO DiCAPRIO as Hugh Glass – THE REVENANT (20th Century Fox). 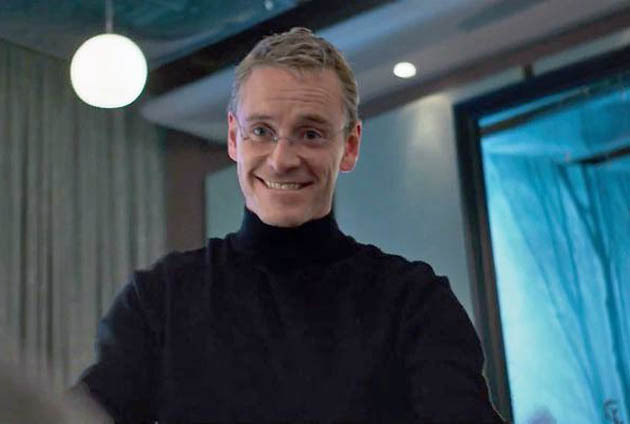 MICHAEL FASSBENDER as Steve Jobs – STEVE JOBS (Universal Pictures). CATE BLANCHETT as Carol Aird – CAROL (The Weinstein Company). * BRIE LARSON as Ma – ROOM (A24). 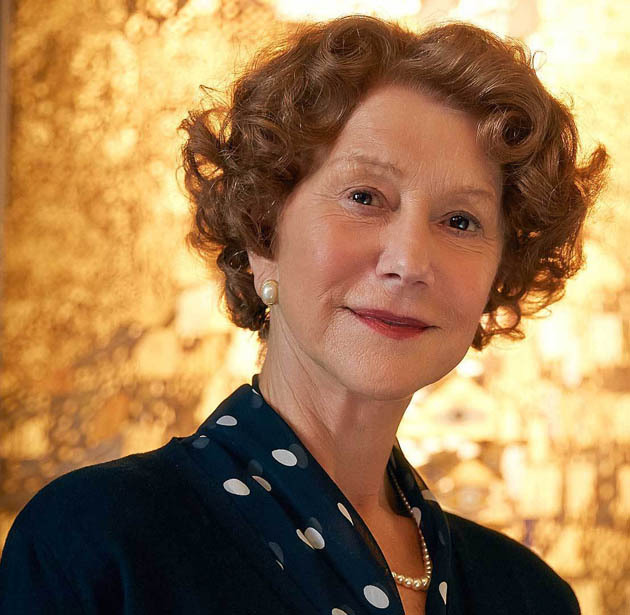 HELEN MIRREN as Maria Altmann – WOMAN IN GOLD (The Weinstein Company). SAOIRSE RONAN as Eilis – BROOKLYN (Fox Searchlight Pictures). CHRISTIAN BALE as Michael Burry – THE BIG SHORT (Paramount Pictures). * IDRIS ELBA as Commandant – BEASTS OF NO NATION (Netflix). MARK RYLANCE as Abel Rudolph – BRIDGE OF SPIES (DreamWorks). MICHAEL SHANNON as Rick Carver – 99 HOMES (Broad Green Pictures). ROONEY MARA as Therese Belivet – CAROL (The Weinstein Company). RACHEL McADAMS as Sacha Pfeiffer – SPOTLIGHT (Open Road Films). 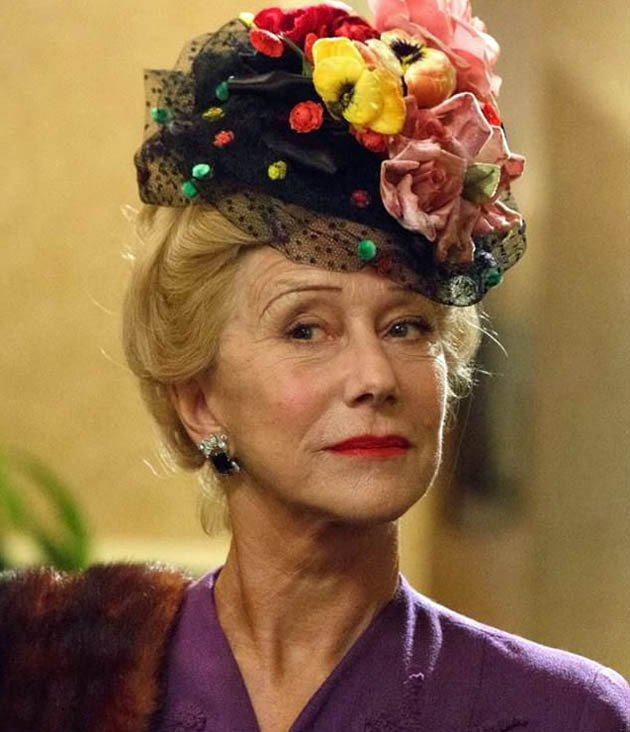 HELEN MIRREN as Hedda Hopper – TRUMBO (Bleecker Street). * ALICIA VIKANDER as Gerda Wegener – THE DANISH GIRL (Focus Features). BEASTS OF NO NATION (Netflix). KURT EGYIAWAN as 2nd I-C. THE BIG SHORT (Paramount Pictures). CHRISTIAN BALE as Michael Burry. STEVE CARELL as Mark Baum. RYAN GOSLING as Jared Vennett. MELISSA LEO as Georgia Hale. HAMISH LINKLATER as Porter Collins. JOHN MAGARO as Charlie Geller. BRAD PITT as Ben Rickert. RAFE SPALL as Danny Moses. JEREMY STRONG as Vinny Peters. MARISA TOMEI as Cynthia Baum. * SPOTLIGHT (Open Road Films). BILLY CRUDUP as Eric MacLeish. BRIAN D'ARCY JAMES as Matty Carroll. MICHAEL KEATON as Walter “Robby” Robinson. RACHEL McADAMS as Sacha Pfeiffer. MARK RUFFALO as Michael Rezendes. LIEV SCHREIBER as Marty Baron. STRAIGHT OUTTA COMPTON (Universal Pictures). NEIL BROWN JR. as DJ Yella. PAUL GIAMATTI as Jerry Heller. COREY HAWKINS as Dr. Dre. ALDIS HODGE as MC Ren. O'SHEA JACKSON JR. as Ice Cube. ADEWALE AKINNUOYE-AGBAJE as Virgil Brooks. LOUIS C.K. as Arlen Hird. BRYAN CRANSTON as Dalton Trumbo. DAVID JAMES ELLIOTT as John Wayne. ELLE FANNING as Niki Trumbo. JOHN GOODMAN as Frank King. DIANE LANE as Cleo Trumbo. HELEN MIRREN as Hedda Hopper. MICHAEL STUHLBARG as Edward G. Robinson. * IDRIS ELBA as DCI John Luther – LUTHER (BBC America). BEN KINGSLEY as Grand Vizier Ay – TUT (Spike). RAY LIOTTA as Lorca/Tom Mitchell – TEXAS RISING (History). BILL MURRAY as Himself – A VERY MURRAY CHRISTMAS (Netflix). NICOLE KIDMAN as Grace – GRACE OF MONACO (Lifetime). * QUEEN LATIFAH as Bessie Smith – BESSIE (HBO). CHRISTINA RICCI as Lizzie Borden – THE LIZZIE BORDEN CHRONICLES (Lifetime). SUSAN SARANDON as Gladys Mortenson – THE SECRET LIFE OF MARILYN MONROE (Lifetime). PETER DINKLAGE as Tyrion Lannister – GAME OF THRONES (HBO). JON HAMM as Don Draper – MAD MEN (AMC). RAMI MALEK as Elliot – MR. ROBOT (USA Network). BOB ODENKIRK as Jimmy McGill – BETTER CALL SAUL (AMC). CLAIRE DANES as Carrie Mathison – HOMELAND (Showtime). * VIOLA DAVIS as Annalise Keating – HOW TO GET AWAY WITH MURDER (ABC). JULIANNA MARGULIES as Alicia Florrick – THE GOOD WIFE (CBS). MAGGIE SMITH as Violet Crawley, Dowager Countess of Grantham – DOWNTON ABBEY (Masterpiece/PBS). TY BURRELL as Phil Dunphy – MODERN FAMILY (ABC). LOUIS C.K. as Louie – LOUIE (FX Networks). WILLIAM H. MACY as Frank – SHAMELESS (Showtime). JIM PARSONS as Sheldon Cooper – THE BIG BANG THEORY (CBS). * UZO ADUBA as Suzanne “Crazy Eyes” Warren – ORANGE IS THE NEW BLACK (Netflix). EDIE FALCO as Jackie Peyton – NURSE JACKIE (Showtime). ELLIE KEMPER as Kimmy Schmidt – UNBREAKABLE KIMMY SCHMIDT (Netflix). JULIA LOUIS-DREYFUS as President Selina Meyer – VEEP (HBO). HUGH BONNEVILLE as Robert, Earl of Grantham. LAURA CARMICHAEL as Lady Edith Crawley. JIM CARTER as Mr. Carson. BRENDAN COYLE as Mr. Bates. TOM CULLEN as Anthony Gillingham. MICHELLE DOCKERY as Lady Mary Crawley. KEVIN DOYLE as Mr. Molesley. JOANNE FROGGATT as Anna Bates. LILY JAMES as Lady Rose. ROBERT JAMES-COLLIER as Thomas Barrow. ALLEN LEECH as Tom Branson. PHYLLIS LOGAN as Mrs. Hughes. LESLEY NICOL as Mrs. Patmore. DAVID ROBB as Dr. Clarkson. MAGGIE SMITH as Violet, Dowager Countess of Grantham. IAN BEATTIE as Ser Meryn Trant. MICHAEL CONDRON as Bowen Marsh. BEN CROMPTON as Dolorous Edd. LIAM CUNNINGHAM as Ser Davos Seaworth. BRIAN FORTUNE as Othell Yarwyck. JOEL FRY as Hizdahr Zo Loraq. AIDAN GILLEN as Littlefinger Petyr Baelish. IAIN GLEN as Ser Jorah Mormont. MICHIEL HUISMAN as Daario Naharis. DANIEL PORTMAN as Podrick Payne. IWAN RHEON as Ramsay Snow. OWEN TEALE as Ser Alliser Thorne. F. MURRAY ABRAHAM as Dar Adal. ALEXANDER FEHLING as Jonas Hollander. RUPERT FRIEND as Peter Quinn. RENÉ DAVID IFRAH as Bibi. MARK IVANIR as Ivan Krupin. SEBASTIAN KOCH as Otto D?ring. MIRANDA OTTO as Allison Carr. MAHERSHALA ALI as Remy Danton. DEREK CECIL as Seth Grayson. NATHAN DARROW as Edward Meechum. MICHAEL KELLY as Doug Stamper. ELIZABETH MARVEL as Heather Dunbar. MOLLY PARKER as Jackie Sharp. JIMMI SIMPSON as Gavin Orsay. KEVIN SPACEY as Francis Underwood. JAY R. FERGUSON as Stan Rizzo. BRUCE GREENWOOD as Richard Burghoff. CHRISTINA HENDRICKS as Joan Harris. JANUARY JONES as Betty Francis. VINCENT KARTHEISER as Pete Campbell. ELISABETH MOSS as Peggy Olson. KEVIN RAHM as Ted Chaough. KIERNAN SHIPKA as Sally Draper. JOHN SLATTERY as Roger Sterling. RICH SOMMER as Harry Crane. AARON STATON as Ken Cosgrove. MAYIM BIALIK as Amy Farrah Fowler. JOHNNY GALECKI as Leonard Hofstadter. SIMON HELBERG as Howard Wolowitz. KUNAL NAYYAR as Rajesh Koothrappali. JIM PARSONS as Sheldon Cooper. KEEGAN-MICHAEL KEY as Various Characters. JULIE BOWEN as Claire Dunphy. TY BURRELL as Phil Dunphy. AUBREY ANDERSON EMMONS as Lily Tucker-Pritchett. JESSE TYLER FERGUSON as Mitchell Pritchett. NOLAN GOULD as Luke Dunphy. SARAH HYLAND as Haley Dunphy. ED O'NEILL as Jay Pritchett. RICO RODRIGUEZ as Manny Delgado. ERIC STONESTREET as Cameron Tucker. SOFIA VERGARA as Gloria Delgado-Pritchett. * ORANGE IS THE NEW BLACK (Netflix). UZO ADUBA as Suzanne “Crazy Eyes” Warren. MIKE BIRBIGLIA as Danny Pearson. MARSHA STEPHANIE BLAKE as Berdie Rogers. DANIELLE BROOKS as Tasha “Taystee” Jefferson. LAVERNE COX as Sophia Burset. JACKIE CRUZ as Marisol “Flaca” Gonzales. CATHERINE CURTIN as Wanda Bell. LEA DELARIA as Carrie “Big Boo” Black. BETH FOWLER as Sister Jane Ingalls. JOEL MARSH GARLAND as Scott O'Neill. KIMIKO GLENN as Brook Soso. ANNIE GOLDEN as Norma Romano. DIANE GUERRERO as Maritza Ramos. MICHAEL J. HARNEY as Sam Healy. VICKY JEUDY as Janae Watson. SELENIS LEYVA as Gloria Mendoza. TARYN MANNING as Tiffany “Pennsatucky” Doggett. ADRIENNE C. MOORE as Black Cindy. KATE MULGREW as Galina “Red” Reznikov. EMMA MYLES as Leanne Taylor. MATT PETERS as Joel Luschek. LORI PETTY as Lolly Whitehill. JESSICA PIMENTEL as Maria Ruiz. DASCHA POLANCO as Dayanara Diaz. LAURA PREPON as Alex Vause. ELIZABETH RODRIGUEZ as Aleida Diaz. RUBY ROSE as Stella Carlin. NICK SANDOW as Joe Caputo. CONSTANCE SHULMAN as Yoga Jones. YAEL STONE as Lorna Morello. ALEXANDRA BILLINGS as Davina Rejennae. CARRIE BROWNSTEIN as Syd Feldman. JAY DUPLASS as Josh Pfefferman. KATHRYN HAHN as Raquel Fein. GABY HOFFMANN as Ali Pfefferman. CHERRY JONES as Leslie Mackinaw. AMY LANDECKER as Sarah Pfefferman. JUDITH LIGHT as Shelly Pfefferman. EMILY ROBINSON as Rose Boymelgreen. DIEDRICH BADER as Bill Ericsson. SUFE BRADSHAW as Sue Wilson. ANNA CHLUMSKY as Amy Brookheimer. GARY COLE as Kent Davidson. KEVIN DUNN as Ben Cafferty. TONY HALE as Gary Walsh. HUGH LAURIE as Tom James. REID SCOTT as Dan Egan. TIMOTHY SIMONS as Jonah Ryan. * MAD MAX: FURY ROAD (Warner Bros. Pictures). * GAME OF THRONES (HBO). Dec. 8, '15: The 2016 Screen Actors Guild Award nominations will be announced on Wed., Dec. 9. The SAG Awards, of course, tend to be a solid prognosticator of the Academy Awards in the acting categories – solid, but hardly flawless. Generally speaking, the SAG Awards' shortlist tend to be more populist and more Hollywood-centered than those of the Actors' Branch of the Academy of Motion Picture Arts. But why would that be? Well, here are two likely reasons for the discrepancies. Screeners' availability at the time of voting. Academy members vote a few weeks after SAG Award voters; as a result, they have some more time to catch up with late releases and/or smaller/non-Hollywood movies that receive widespread critical love during awards season. According to Anne Thompson, this year screeners for Alejandro González Iñárritu's The Revenant and David O. Russell's Joy were sent out late to SAG's voting committee, while screeners for Quentin Tarantino bolognese-sauced Western The Hateful Eight weren't sent out at all. Miranda Richardson in Brian Gilbert's Tom & Viv. Emily Watson in Lars von Trier's Breaking the Waves. Julie Christie in Alan Rudolph's Afterglow. Fernanda Montenegro in Water Salles' Central Station. Michelle Williams in Derek Cianfrance's Blue Valentine. Javier Bardem in Alejandro González Iñárritu's Biutiful. Emmanuelle Riva in Michael Haneke's Amour. Marion Cotillard in Jean-Pierre and Luc Dardenne's Two Days, One Night. Such off-the-beaten-path nominations – e.g., Marion Cotillard in Jacques Audiard's Rust and Bone; Tilda Swinton in Lynne Ramsay's We Need to Talk About Kevin – are rare at the SAG Awards. And remember: Unlike the SAG Awards, the Academy uses the preferential voting system for its nominations. Thus, theoretically, a small, enthusiastic minority (1/6 of voters + 1) can get to choose at least one of the nominees. Having said all that, below are our predictions for the 2016 SAG Awards. 'The Revenant' clip featuring the 2016 SAG Awards' likely Best Actor nominee Leonardo DiCaprio. Charlize Theron for Mad Max: Fury Road. Charlotte Rampling for 45 Years. Maggie Smith for The Lady in the Van. Blythe Danner for I'll See You in My Dreams. Meryl Streep for Ricki and the Flash. Helen Mirren for Woman in Gold. Sandra Bullock for Our Brand Is Crisis. Matt Damon for The Martian. Leonardo DiCaprio for The Revenant. Michael Fassbender for Steve Jobs. Tom Hanks for Bridge of Spies. Eddie Redmayne for The Danish Girl. Johnny Depp for Black Mass. Ian McKellen for Mr. Holmes. Tom Courtenay for 45 Years. Steve Carell for The Big Short. Michael B. Jordan for Creed. Tom Hardy for The Revenant. Mark Rylance for Bridge of Spies. Paul Dano for Love & Mercy. Michael Shannon for 99 Homes. Robert De Niro for Joy. Benicio Del Toro for Sicario. Idris Elba for Beasts of No Nation. Alicia Vikander for Ex Machina (or The Danish Girl). Kate Winslet for Steve Jobs. Jennifer Jason Leigh for The Hateful Eight. Cynthia Nixon for James White. Helena Bonham Carter for Suffragette. SAG Awards' double nominee Helen Mirren Woman in Gold image: The Weinstein Company. Helen Mirren as Hollywood gossip columnist Hedda Hopper Trumbo image: Bleecker Street. Image of the 2016 SAG Awards' likely Best Actor nominee Michael Fassbender in Steve Jobs: Universal Pictures. Likely 2016 SAG Awards' nominee Leonardo DiCaprio in The Revenant clip: 20th Century Fox. List of the 2016 SAG Awards' winners and nominees via the Screen Actors Guild Awards website. I'm very happy that the SAG Award recognized the most talented raw actress I have seen,Nicole Kidman ! ! More power to you , Nicole . Good year ahead of you !